Vegan Leather Brown Snap On Belt 1.5"
An inexpensive, good quality, imported, manufactured, medium weight, soft and thick brown imitation leather snap-on belt that works well with my license plate belt buckles. 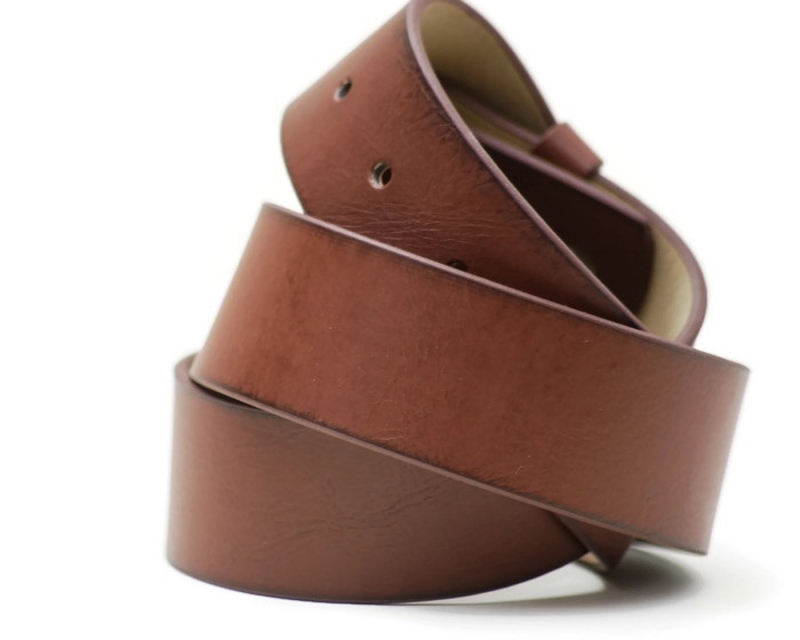 This belt is brown with natural slightly textured grain. Silver snaps. 1.5" wide. This belt is imported, from a belt manufacturer overseas, and is stamped as such on the inside. By all means, purchase a handmade belt, if you can afford one. If that stretches your budget too much - this alternative is the best quality manufactured belt that I can find, at a very reasonable price. I think it is a convincing leather substitute. 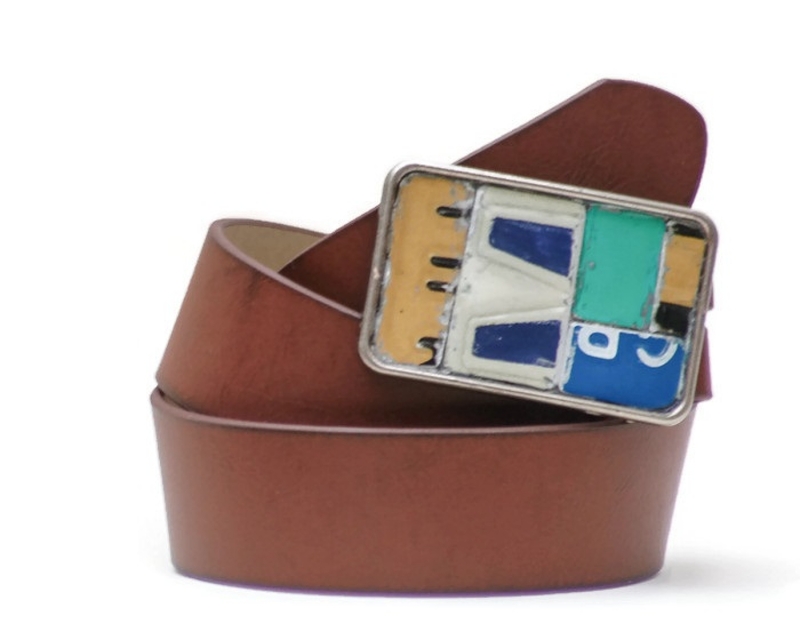 Buckles shown are NOT included. Your pant size is not always the best size to go with. 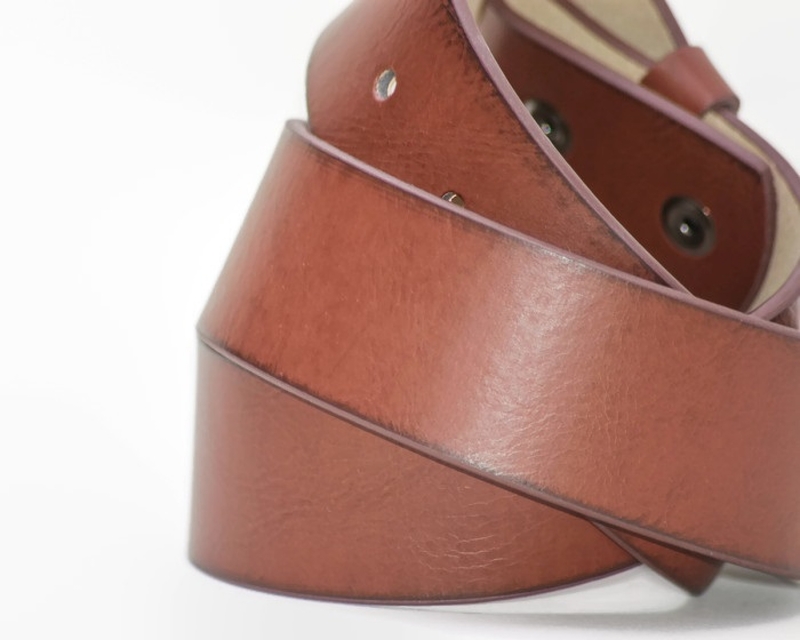 Please measure a belt strap that fits you from fold to tip (not including buckle) for correct size. When in doubt, go larger. Size: * Please selectlarge - 39"medium - 36"small - 33"